There are many ways to encourage your children to write. But you may need some ideas to inspire you - and them!! I do not use a writing curriculum in my homeschool schedule - I just maximise the opportunities available within homeschooling. Are there are lots of opportunities available :) Everyday situations are wonderful for writing opportunities. I hope these ideas will inspire you to give them a try. 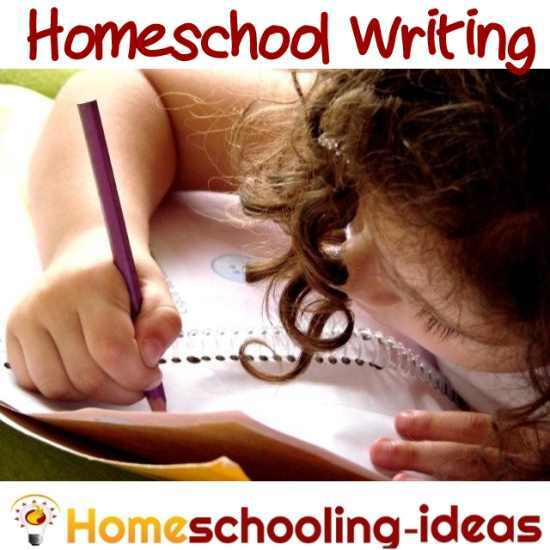 Check out these fabulous homeschool writing ideas! 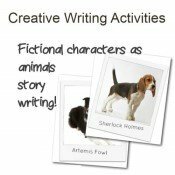 Creative Writing Activities for Kids. Lots of ideas to inspire your children to write creatively. If your children are young and you are thinking about handwriting, here are some experiences of how to teach writing. Contests, magazines, groups and writing programs. Lots of ways to encourage your kids writing skills. Kids Writing Lesson Plan - Write a Book. A week of lessons from my free homeschool curriculum. Spend a week helping the children to write a book - and get it published! A weeks lesson plan looking at fonts and typography - with lots of activities based around words. Journaling is a wonderful way for your kids to learn about themselves. This 'free-writing' approach helps them develop their writing skills - and find a 'friend for life'. Starting a Kids Diary. Find out about the types of diaries your children could keep, and get some tips for encouraging them to use it! 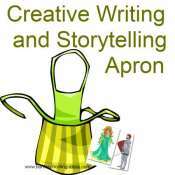 Make a story bag to use as prompts for your kids story writing. Do you children enjoy worksheets? Here are some to help them practice when to use capital letters and punctuation. 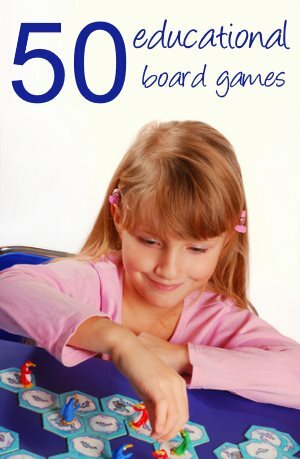 This daybook is a perfect way to get your kids to write down their ideas. Lapbooks are a really fun way to do homeschool projects - and a good way to get your children to write without them noticing! Blogs are a good way to encourage your children to write on a regular basis. Find out more about how to set them up safely, and help your kids meet other kids bloggers. 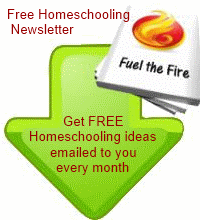 Got a homeschool writing idea? 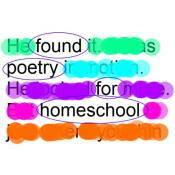 How do you do writing in your homeschool? Found a great writing resource? Got an idea you would like to share? Worried you child may have dyslexia? Check out the signs of dyslexia in young children.